Catherine Fulvio is an award-winning TV chef, author and proprietor of Ballyknocken House & Cookery School (www.ballyknocken.com ) in County Wicklow, Ireland. Born and raised on the family farm at Ballyknocken, this celebrated chef is an ardent supporter of fresh local produce and one of Ireland’s top culinary stars. She is a firm favorite at food events at home and abroad but her passion is her family farm, family B&B and her cookery school in the beautiful county of Wicklow, by Dublin in Ireland. Catherine’s charming, four-star Victorian B&B farmhouse and her award-winning cookery school attract visitors from around the world, where she shares her passion for farm ingredients, the source of all great food, and brings that food to the table for a “real taste of Ireland,” as she says. Catherine emphasizes provenance and relies on the best local and seasonal produce, often drawing from Ballyknocken’s own herbs, vegetables and fruit. Having married a Sicilian, she has a close love affair with Italian cuisine, and is now known for her Irish blood and her Italian heart. 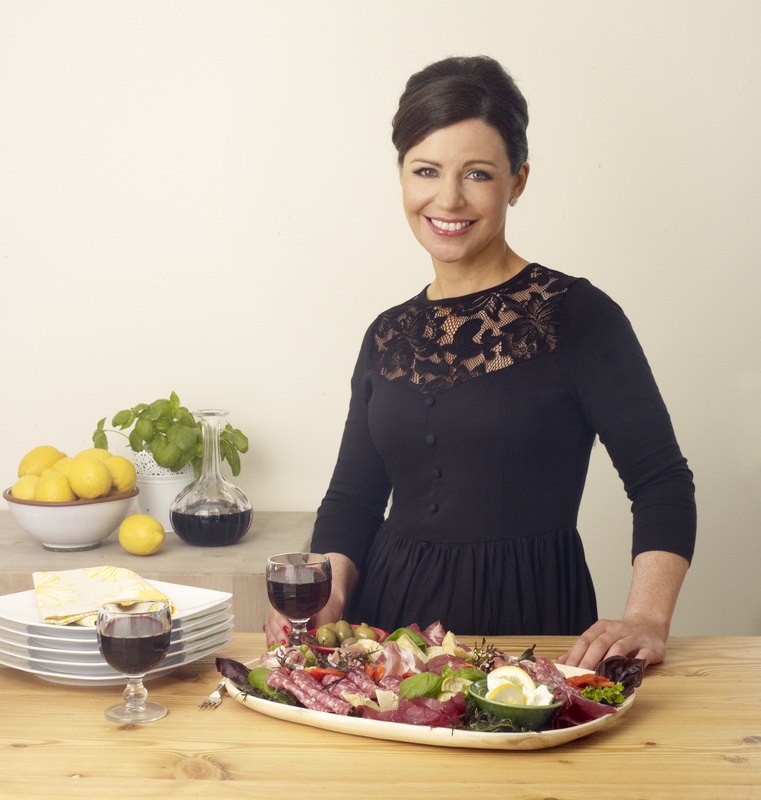 Following the success of her first cookbook, Catherine’s Italian Kitchen, and two TV series, Catherine’s Italian Kitchen and Catherine’s Roman Holiday, she is now a household name throughout Ireland. This accomplished chef has firmly established herself as a familiar face on TV around the world with her cooking series airing in over a dozen countries including the U.K., France, Australia and New Zealand, and is currently viewed on AerLingus flights. She is also seen in print as a food writer for one of Ireland’s top-selling weeklies, the RTE Guide. Her broadcast credentials include contributor on the RTE Today Show and on Radio One’s Today with Pat Kenny. Catherine’s most recent book, Eat Like an Italian, won the prestigious Avonmore Cookbook of the Year 2012 at the national awards.